Here we examined a story about a little girl whose summer vacation at the lake helps her realize the importance of family and having a sense of belonging. 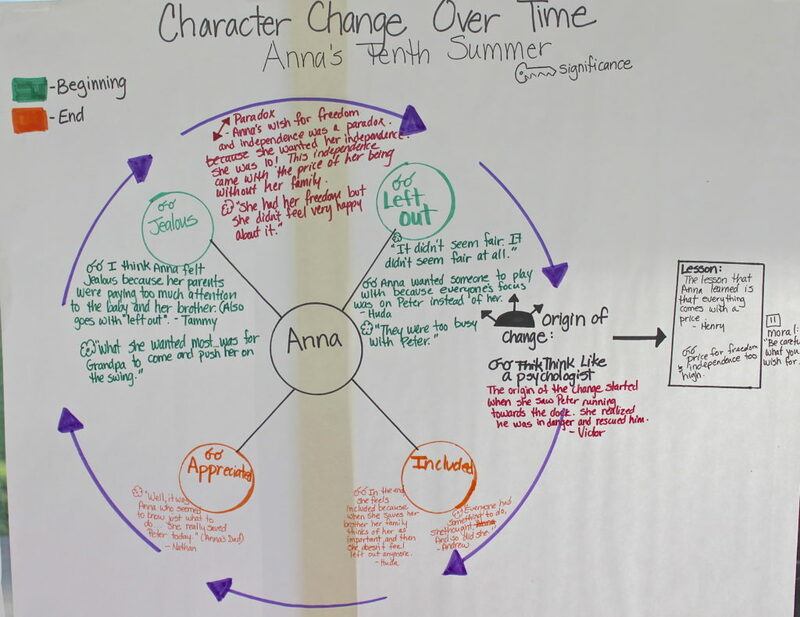 When analyzing how a character changes over time, I found that using a color-coded bubble map was a great way to help students organize their thinking about the story. The middle bubble represents Anna and the outer bubbles represent her feelings. Be careful to tell students that the bubbles on the map should not be synonyms. When students are give free reign, they often have too many bubbles, which then detract from the organization of the map. Each bubble is supported with textual evidence and analyzed. When students had difficulty providing evidence to support their ideas, I often asked them, “How do you know?” For example: How do you know Anna felt left out? What in the story tells you (or suggests) she feels this way? Often, but not always, the top bubbles mirror the bottom bubbles. For example, if Anna felt left out at the beginning of the story, and then she changes, she should feel included, or like she belongs. After the initial analysis, layer on content imperatives for added depth. In this story, we used paradox, origin, and parallel. 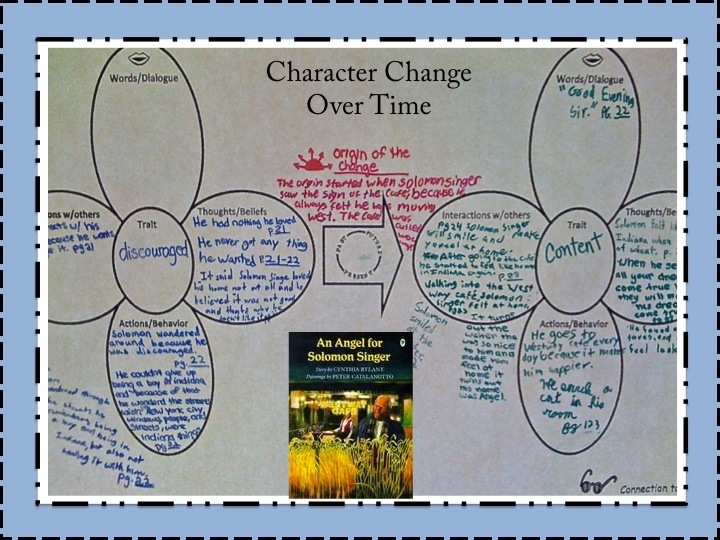 Students examined change over time as they read, An Angel for Solomon Singer. Here we used a different organizer. You can chunk the task by only giving students one side of the organizer at a time (or have them fold it in half). Students identified the main trait at the beginning of the story. They then supported it with evidence from the text: What the character said, his/her actions, beliefs, and interactions with others. 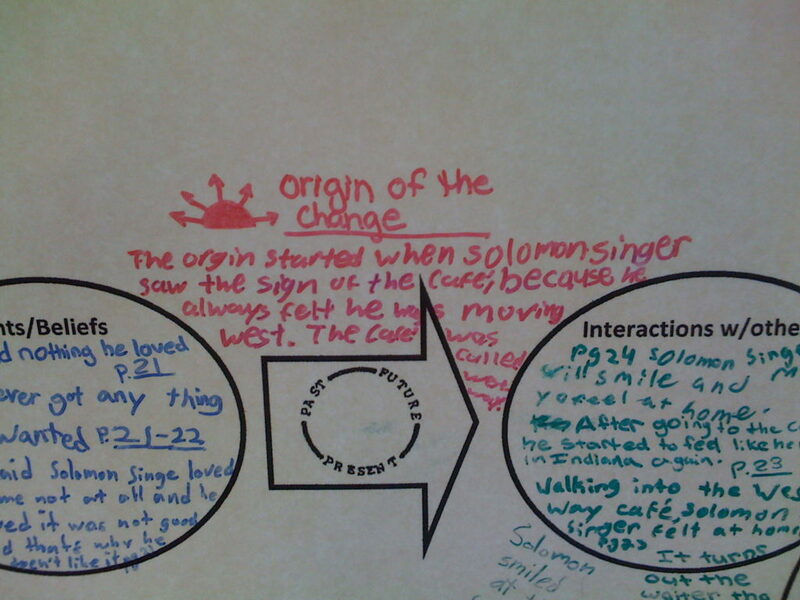 A key component in this organizer is mohave students analyze the origin of the character’s change. This piece generated deep discussion. 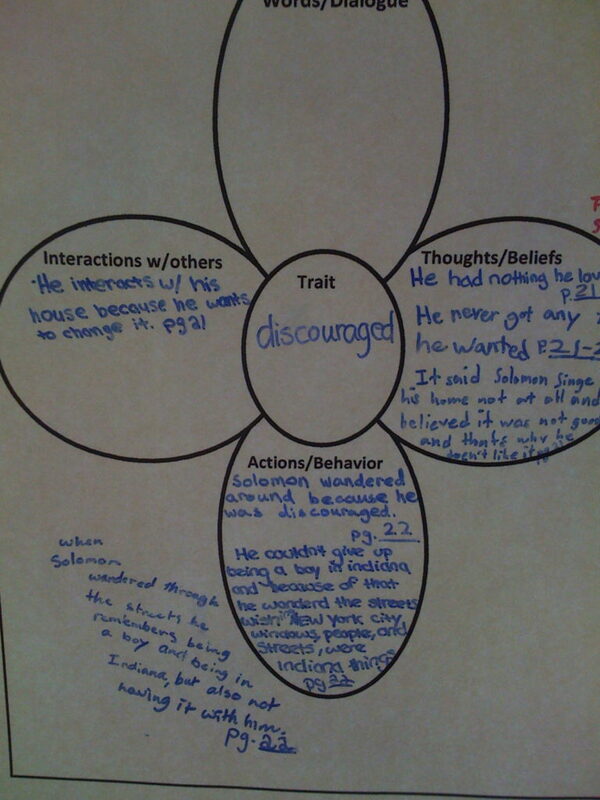 See student example.